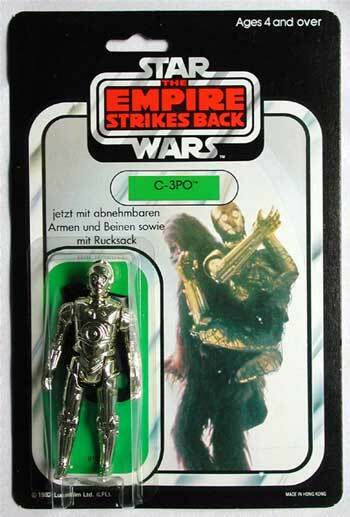 German C-3PO (Removable Limbs) 45-Back: This German issue of the removable limbs version of C-3PO is pretty interesting. 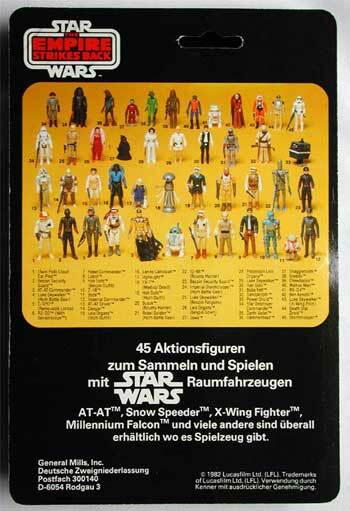 The card front is similar to the one used by Kenner in the U.S. But in addition to there being no Kenner logo present, the nameplate does not specify that it is the removable limbs version of the figure. Instead, there is some German text added above the figure area, which explains that the toy's limbs are removable and that it comes with a sack.